This blog is still very much a work in process. I am still trying to figure things out with WordPress.com and blogging in general. Scadian, browncoat, technical writer, life long learner, hiker, reader, beer and scotch drinker, and an independent thinker. The purpose of this blog was to give another creative outlet. My wife would argue I have too many outlets already due to having the attention span of a gnat. My vision of this blog is to talk about gaming and music mostly. Most of my gaming is of the computer variety. I am usually always playing a MMO of a form or another. I also have been playing pen and paper, and table top war games for a long long time. The reason for miscellany in the title goes back to my attention span. I may stray from time to time from the gaming or music topics. I may find something political (rare), have a rant (rarer), a movie or tv show (really likely), or most likely to paraphrase a good friend of mine “The wind rustled the my fly paper mind and something spouts out of my mouth”. I got the nickname in the SCA during Pennsic 29. As with nicknames given at Pennsic it usually has to do with drinking way to many adult beverages. 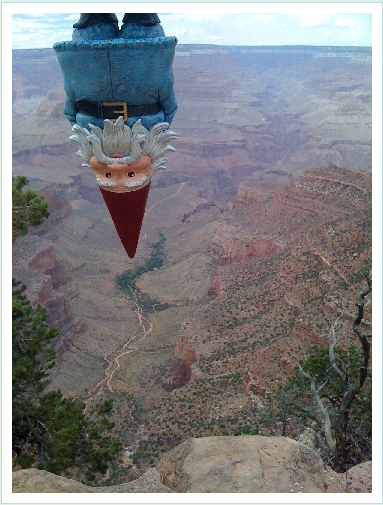 There was already a Treegnome in the group thus I was called the Gardendnome by Urien. I don’t think anyone would of expected me to embrace it as I did. I am a member of the GGLF okay the last bit I jest.